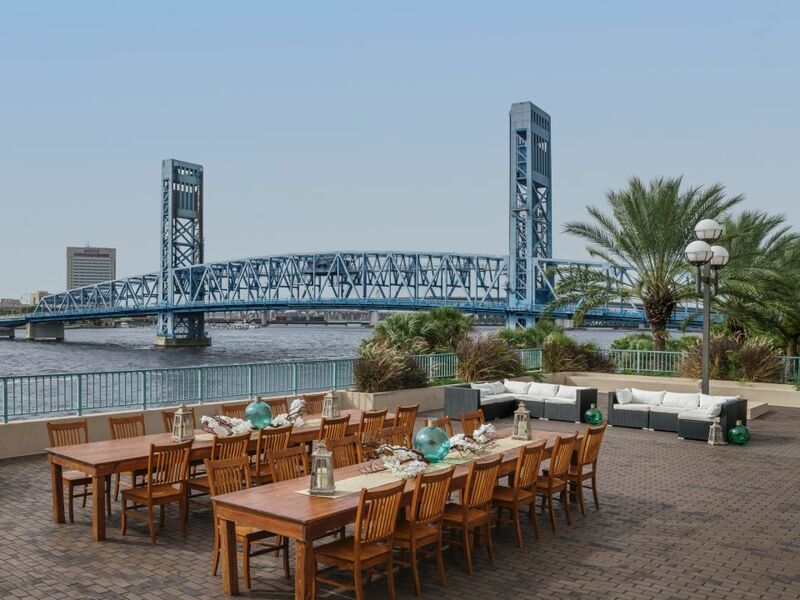 Hyatt Regency Jacksonville Riverfront is located adjacent to the city’s iconic Main Street Bridge, providing panoramic river views and walkable access to the heart of downtown. 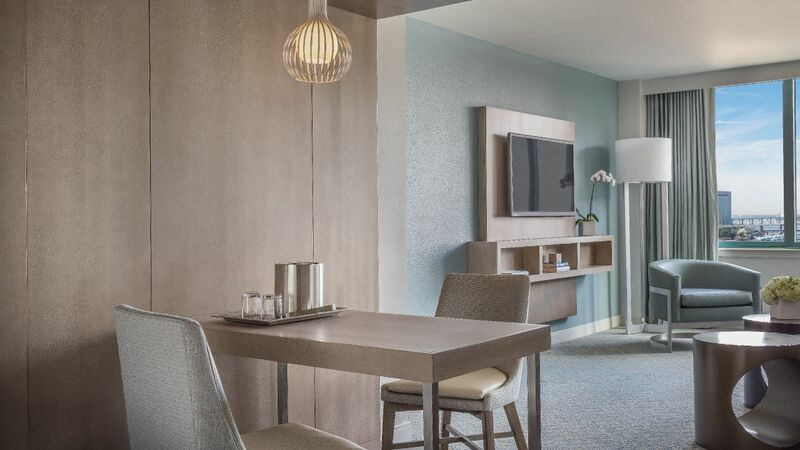 Our Downtown Jacksonville hotel leverages the largest function space in Northeast Florida, relaxing views from hotel rooms and meeting spaces, and new lobby concepts that foster connections and energize travelers. 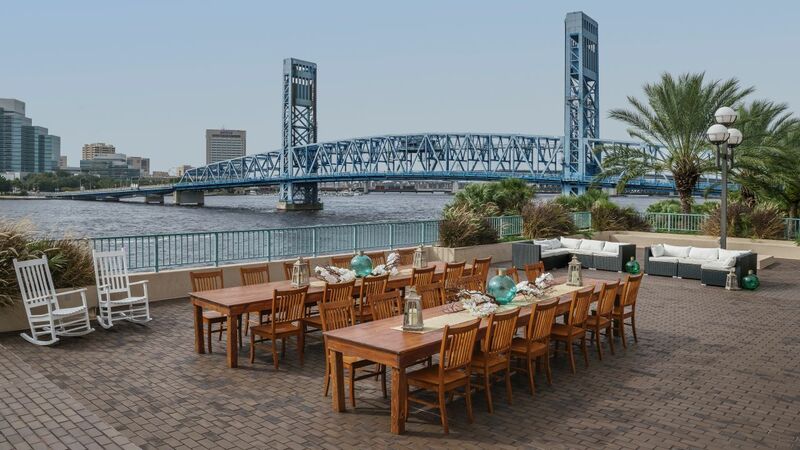 With over 20,000 square feet of space overlooking the St. Johns River, our river decks are the perfect setting for your next event. 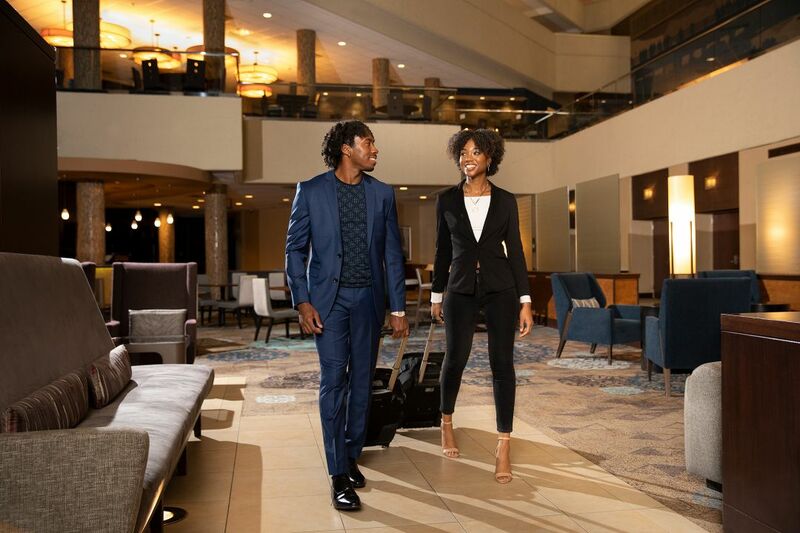 At Hyatt Regency Jacksonville Riverfront, we can cater to a variety of diverse cultures for weddings, from services to catering. 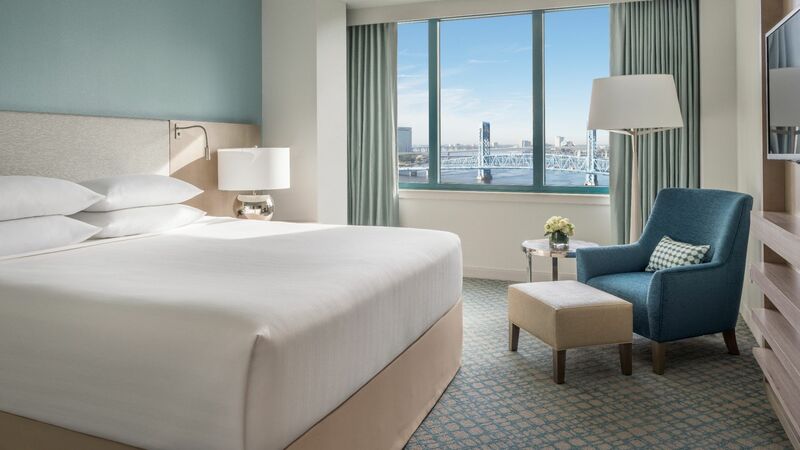 Our clean, spacious and well-appointed guestrooms have been updated for truly refined-living. 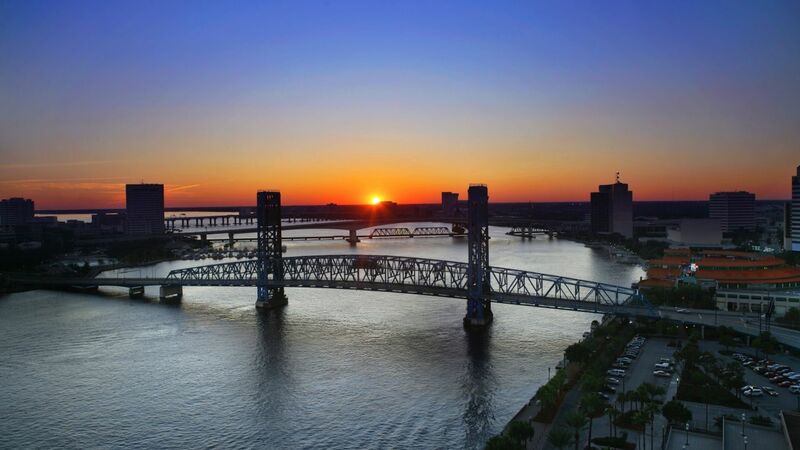 The sparkling St. Johns River is not the only water-spot in Jacksonville for refreshing and relaxing down time. 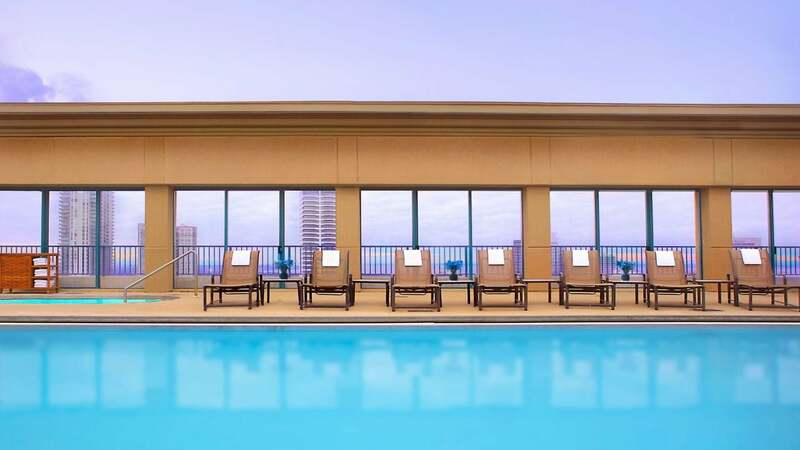 Overlooking the city skyline, enjoy Hyatt’s one-of-a-kind heated outdoor pool, the largest rooftop pool in downtown Jacksonville, which offers panoramic views of the city landscape. 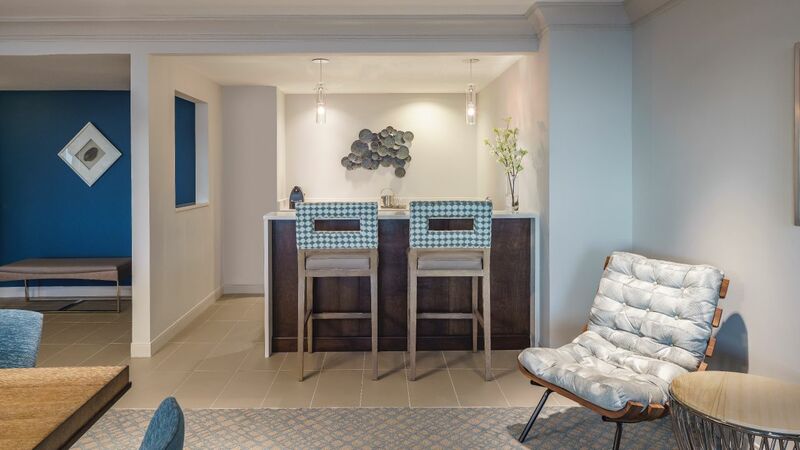 Check out our pool bar for a frozen cocktail or craft beer, open seasonally Friday – Sunday from 11 a.m. – 7 p.m. 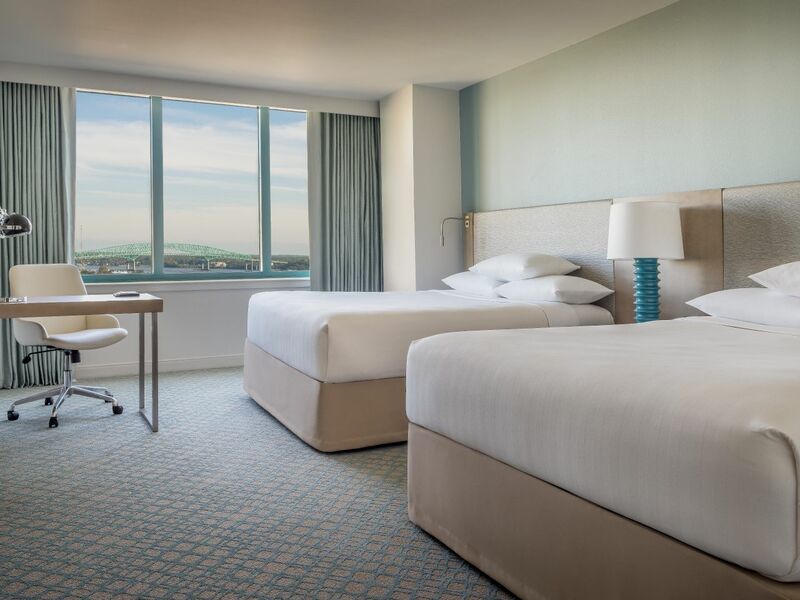 Maintain your workout schedule while you travel, or start one for the first time, in our newly renovated state-of-the-art 24-hour StayFit™ fitness center overlooking the St. Johns River. No other exercise session will compare, with a mirrored wall ensuring proper alignment and wall-to-ceiling windows revealing the beautiful city landscape. Get your hands on some of the finest equipment for fine-tuning your workout, including cardiovascular machines, free weights, strength-training machines, yoga mats, medicine balls, and body bars. 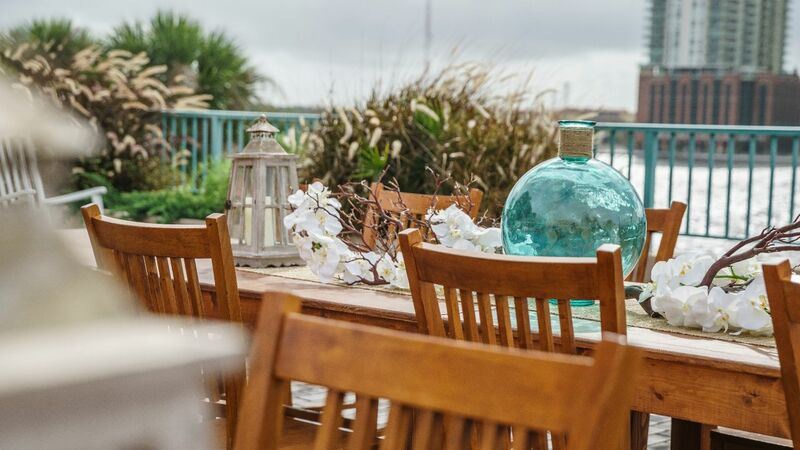 Gain access to our exclusive Regency Club to experience unparalleled personalized service with breathtaking views of the St. John’s River. 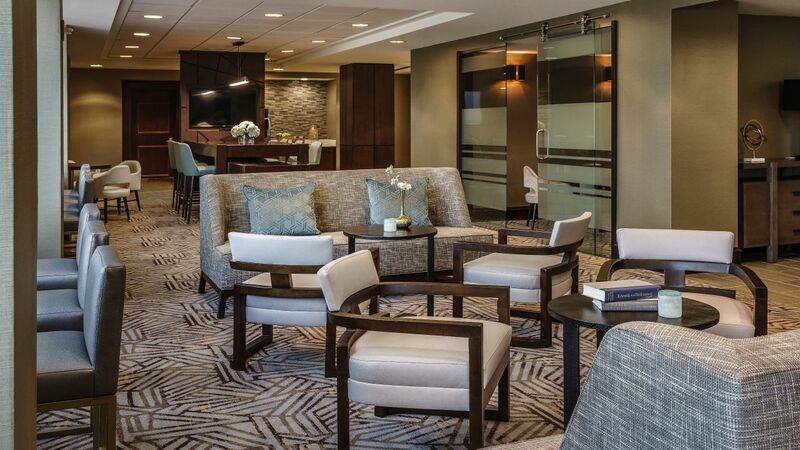 Located on the 17th floor, the Regency Club offers guests complimentary continental breakfast, all day complimentary beverages, and light snacks, as well as hor d’oeuvres and sweets. 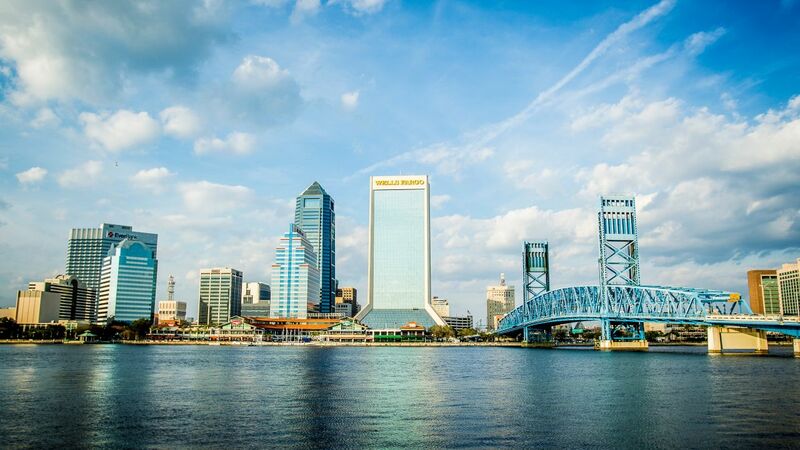 A trip to Jacksonville isn’t complete without every member of the family. 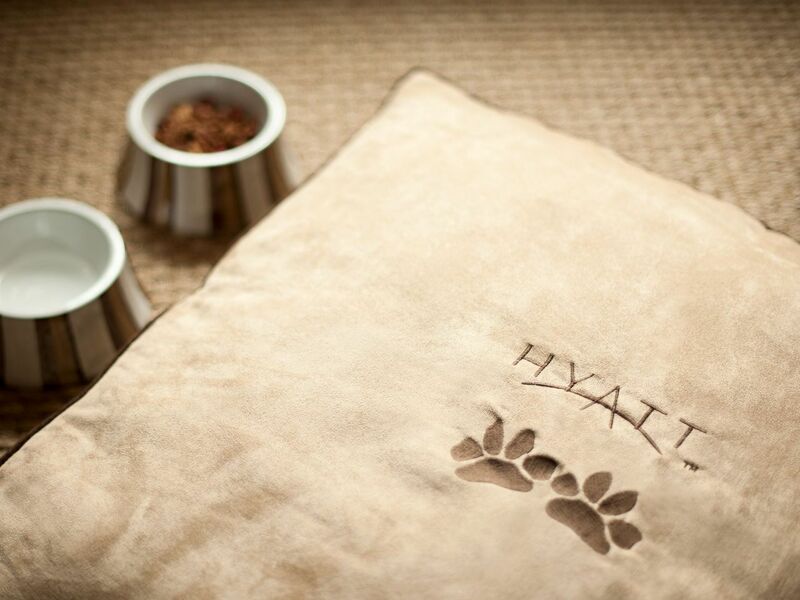 Our location is ideal for your pup. Terms and conditions may apply, call hotel for details. 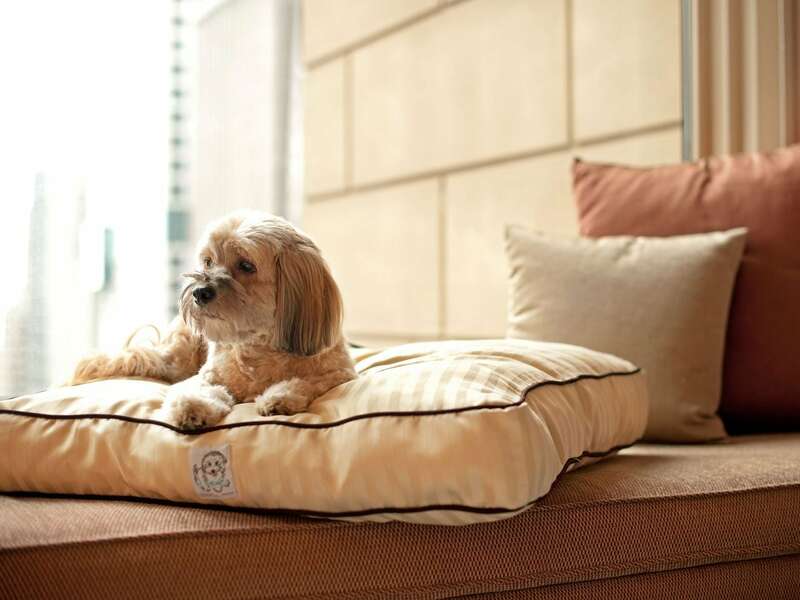 Only dogs weighing 50 pounds (22.68 kilograms) and under are permitted. 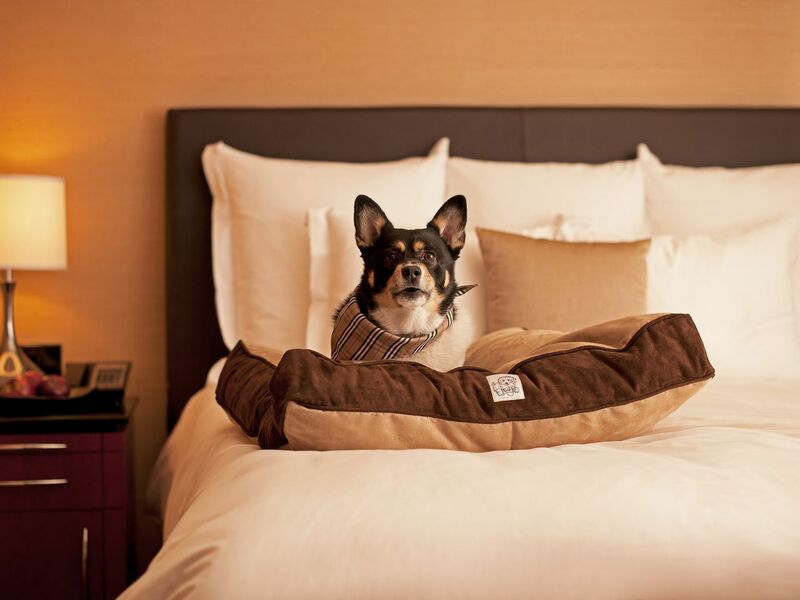 Two dogs may be allowed in a guestroom, provided the combined weight of both dogs does not exceed 75 pounds (34.02 kilograms). 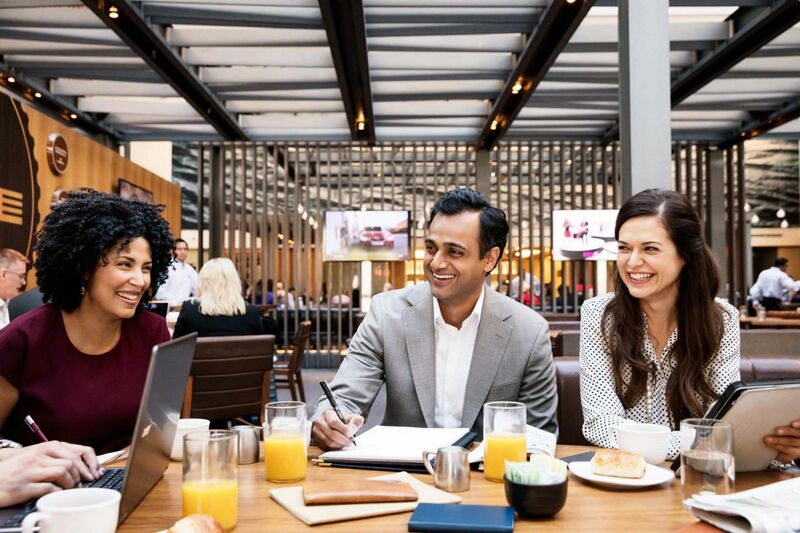 Enjoy fresh pastries and Starbucks® coffee at Market, signature entrées and local brews at Shor Seafood Grill, and delectable dining at Morton’s The Steakhouse. 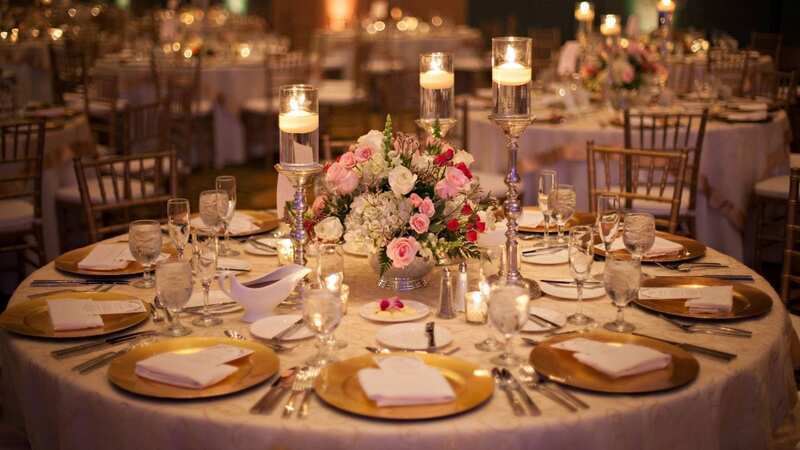 Translate your dreams into reality with the help of our experienced wedding planners for personalized service, striking venues, and the culinary excellence you seek. 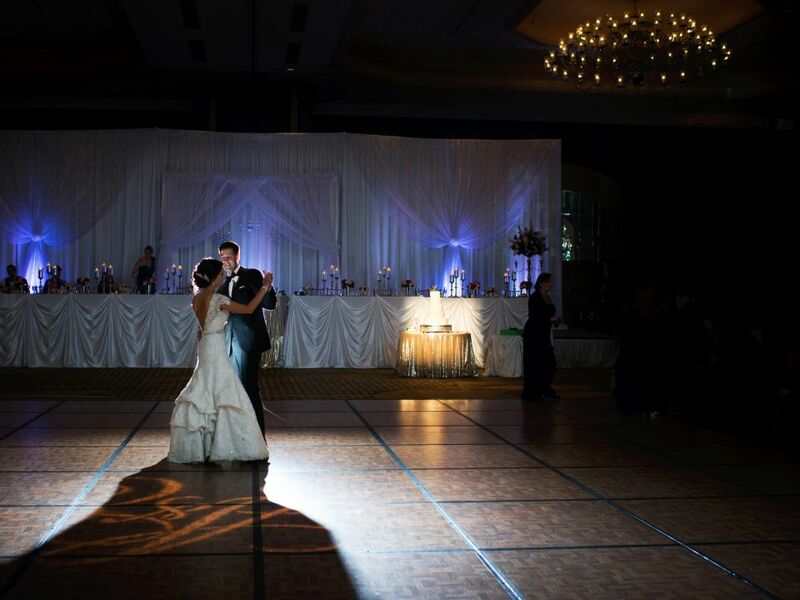 Our Grand Ballroom is the largest event venue in Northeast Florida and most of our meeting rooms feature riverfront views. Beautiful Hotel... Great Staff...Delicious Food! Anna at the front desk set the expectations bar very high by offering amazing, efficient and world class service. Room & view were amazing! Food at hotel’s restaurant was delicious and fairly priced! 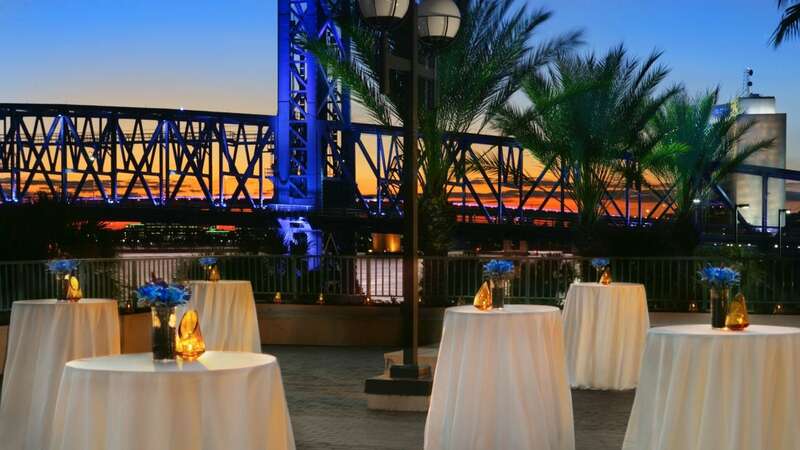 What else is happening at Hyatt Regency Jacksonville Riverfront?